Yoga. My absolute favourite topic at the moment. In July I started my yoga teaching journey….yes it is a journey, simply because I am learning every time I teach. Quite honestly I am loving it. I fell into yoga years ago, when an exercise class I attended regularly suddenly changed to yoga. I was not happy, but gave it a go and loved it. I loved the challenge of trying to hold the “perfect” posture. In today’s world I wanted to look like the Instagram yogis! Yoga is an ancient art. Back in the day it was designed just for men. Women weren’t allowed to practice yoga. As we think of it now in the UK, yoga is very much about the asanas or postures, and maybe some breathing. But yoga is so much bigger than that. The asanas (postures) are just one of the Eight Limbs of Yoga. Pranayama (breathing practice) is another limb. Along with the other six limbs (which I can name, but will leave that for another post!) the asanas and pranayama were considered to act as guidelines on how to live a meaningful and purposeful life. They encompass moral and ethical conduct towards yourself and others, self-discipline, attention to your physical and mental health. For me yoga became a way to improve my mental health, quietening the mind, slowing down and being aware of my body. Connecting and feeling what my body needed, using my breath to encourage deeper movements. I also love the challenges that it poses (excuse the pun), there are certain postures that I would like to move deeper into, hold a little bit longer, and that’s ok. Yoga gives different things to different people. I am always asked “what sort of yoga do you teach?” I never really know the answer to this. Of course most yoga stems from the Hatha branch of yoga, and that’s what I teach. But to put a tagline on my yoga it’s about moving the body, and stilling the mind. I want to make the yoga that I teach here at Ocean as accessible to everyone as possible. My back ground in sports massage shows me how static and immobile people can be from desk work, using various devices or doing the same repetitive activity. We have become too closed, and I want my yoga to open the body, like spreading wings. It’s also apparent how busy our lives have become. We are busy, rushing to the next thing, all too often as we are still finishing off the current task. So giving yourself permission to let yourself concentrate on your body, your mind, your mat, in my book, is important, blissful and necessary. I have been really lucky to work with the fabulous Gillie Sutherland who is a fantastic yoga teacher, one of the best. 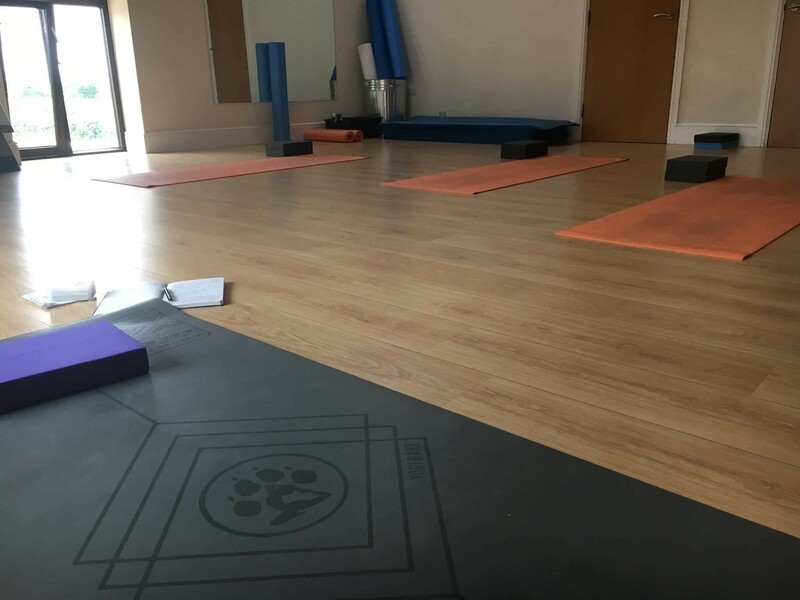 Between us Gillie and I run timetable of yoga classes here at Ocean Physio, to which everyone is welcome. Classes are £8. Block bookings are available, please speak to either Amy or Gillie for more information. Hope to see you in class soon. Namaste.